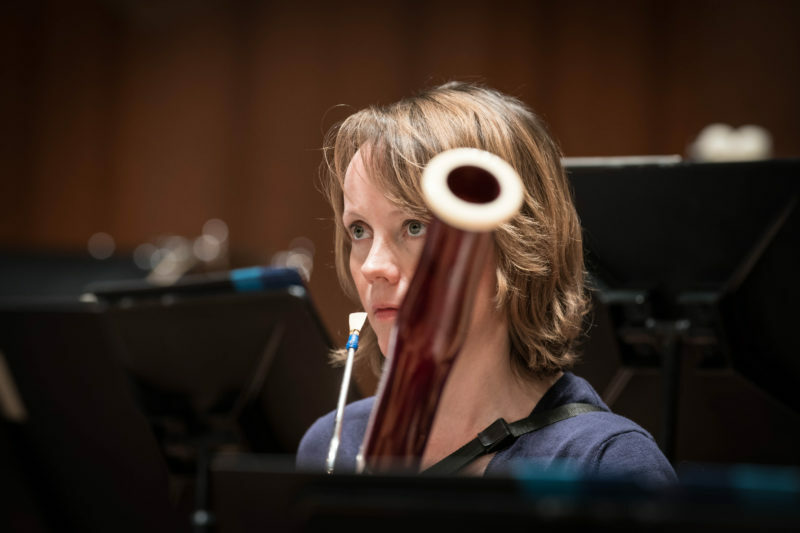 Susanne Sonntag, born in Hamburg, took her first bassoon lessons at the age of 13 from Rolf Ruthof and then became a preparatory student of Thomas Starke at the Music Academy of Lübeck. After graduating from high school in 1994, Susanne Sonntag continued her studies with Klaus Thünemann and Frank Forst in Hanover and at the “Hanns Eisler” Academy in Berlin. During her studies, she won several federal prizes at “Jugend musiziert” and was a member of various orchestras, such as the Albert Schweitzer Youth Orchestra, the Federal Youth Orchestra and the Young German Philharmonic. Besides this, Susanne Sonntag devotes a great amount of time to chamber music. Following her studies, which she completed with straight “A”‘s, she was accepted into the Orchestra Academy of the Staatskapelle Berlin. Further studies included classes with Ingo Goritzki, Sabine Meyer, Mathias Baier, Sergio Azzolini and Thomas Keller. There followed engagements with such ensembles as the Staatskapelle Belrin, the German Chamber Philharmonic in Bremen, the Radio Symphony Orchestra of the SWR in Stuttgart, the Radio Symphony Orchestra in Vienna and the NDR Symphony Orchestra. From 2001 to 2007, Susanne Sonntag was bassoonist and contra bassooonist in the Konzerthaus Orchestra in Berlin. Since August of 2007 she has been a member of the Symphonieorchester des Bayerischen Rundfunks.